Farmers battered with terrible summer weather across the north and west of the country could see their run of bad luck continue with a winter straw shortage on its way. A dry spring followed by continuous rain, poor yields and high levels of chopping have created a perfect storm which has left straw in short supply. The problem has been made worse by poor harvests across the rest of Europe, which have forced merchants to source more of their straw from the UK, and cattle being housed earlier than usual due to the recent wet weather. Straw-fired power stations have also been blamed by Arwel Griffiths, a straw merchant and sheep farmer from Machynlleth, for rocketing prices in Mid Wales. He said: “I have been doing this for over ten years and this is one of the most stressful times I have ever had. The price is going to go through the roof. “A lot of it is to do with the weather, but power stations are also taking too much. The Government needs to step in and put a cap on the tonnage they can use. Mr Griffiths said prices for wheat straw were at £70-72/tonne compared to £58-60/t last year, while barley straw was at £85/t, up from £68-£70/t last year. 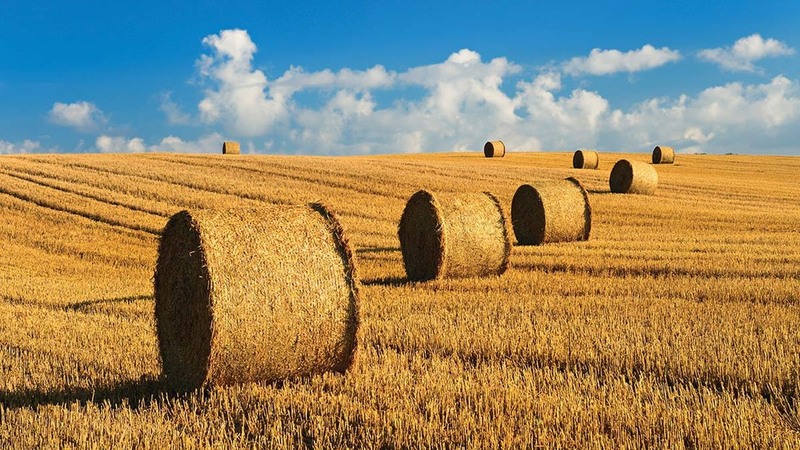 Northern Straw, one of the UK’s largest baling operations, has baled 35 per cent less straw than normal this year. Managing director David Johnson said costs were rising, but was keen to point out last year’s prices were low for the first time in years because of good weather and high yields. “This year the situation has totally reversed”, he added. In North Yorkshire, straw supplier Coverdales has seen similar problems. Partner John Coverdale said: “We have baled a lot more acres this year than we have previously and we have not got as much straw.